It's always an honour to be invited to be a guest on other podcasts and live streamed video such as Facebook Live. And who knew? I discovered that I really enjoy it. So if you feel like you want to get to know me better - these show me as I am! Just click each title for more information & to listen or watch. 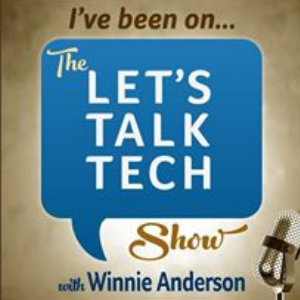 Let's Talk Tech was a popular & growing podcast hosted by Winnie Anderson. It demystified the software, services, systems, and apps needed to run and grow a profitable business. My episode was 'Getting Stuff Done Without Killing Yourself'. It was in the Top 10 of most popular episodes in this podcast. 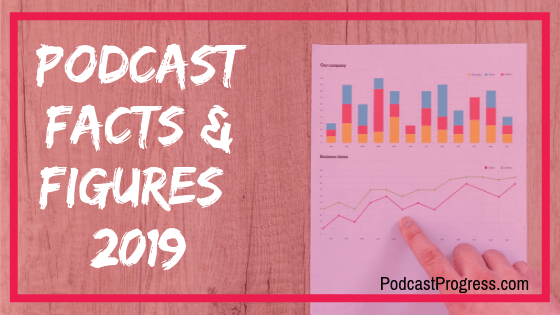 We talked about how to strategically work on your business, to carve out time for the strategic important work that will grow your business, how to identify what tasks to work on to move your business forward, and how to manage your projects using Trello. We also talked about how to recognise that you need project management help, what to look for when hiring a project manager, and how to work with one when you have found them! We split the interview into 2 parts. Winnie also did an aftershow on Blab where we talked more about certain topics that cropped up in the podcast interviews. Discover Your Talent - Do What You Love is another popular & growing podcast. It is a daily podcast hosted by Don Hutcheson who interviews "individuals who have discovered their true talents and how to use them to enjoy a life of success, satisfaction and freedom." 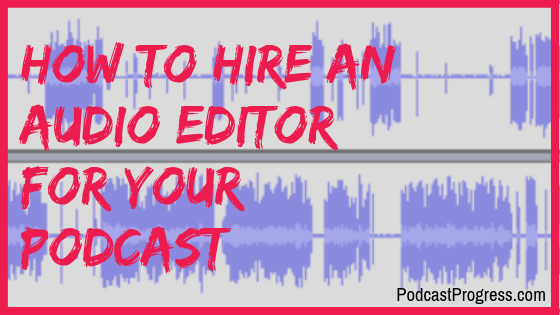 It was included in April 2016 in an article in Inc. Magazine “The Top 35 Outstanding Podcast Picks from Entrepreneurs Like You.” Don's podcast was listed number 11. Anyway, here is my 30 minute interview. International Women's Day 2017 was on March 8th and it was the day I further pushed the comfort zone and did my first ever Facebook Live. No pressure.... it was part of a special 24hour Facebook Live event planned and hosted by Ali Price from her Motivating Mum Facebook page. An epic undertaking and one which I was proud to be invited to take part. 96 women, across the world, 10 minutes each.... one shot at doing a great job! My invitation to be a guest on Digital Chatter with Eric Sharpe was entirely due to building strategic connections and building positive relationships through networking on LinkedIn. Just Before Christmas 2017 ... I had a crazy idea for a funny way to promote my Stitchery Stories podcast, membership of the Embroiderers' Guild and to just have a laugh. I was also pushing myself totally out of my comfort zone 'cos I would be singing too... YIKES. So I designed and embroidered the embroidery. Wrote the alternative lyrics. Photographed the images and created a video from them. Sang and recorded the song. It was tricky synching the photos with the audio track, especially with all the repetitions in the song. It was shared a lot in the few days before Christmas and I grew more confidence from daring to push myself and 'do it anyway'. A Great 'Shout Out' from VAClassroom University Launch Webinar! 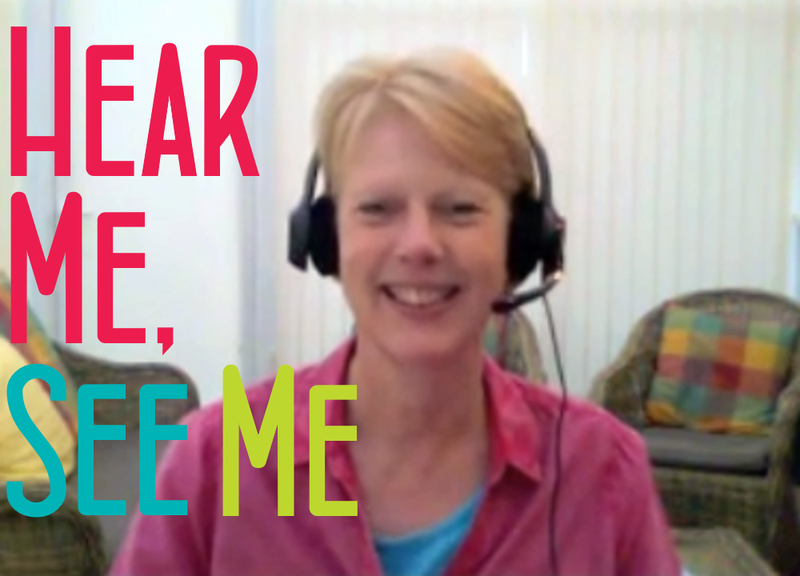 January 2018 ... whilst I was watching a great launch webinar for the forthcoming new semester for VAClassroom University, imagine my surprise when I was mentioned as part of the Community Mentor team, and then showcased as an example with my Podcast services! I am just editing the video to create a snippet.